The Soup'er Up'er adds the following features to the Bayou Jumper. 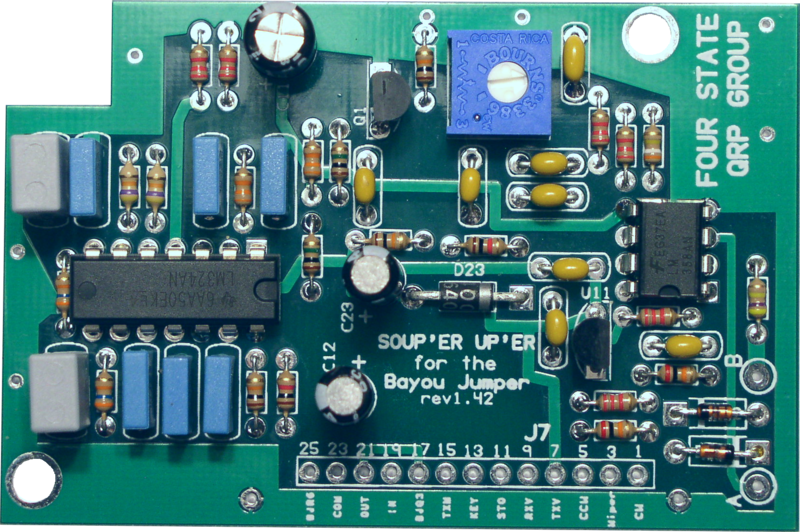 Power Supply: Connects to the Bayou Jumper. 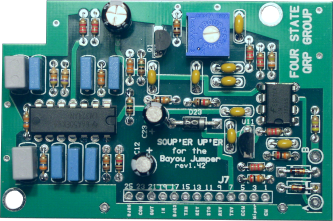 Dimensions: The PC Board is 2.93" x 1.94"
Current Requirement: The circuit draws only 16.5 ma. Enclosure: Not needed, installs inside the Bayou Jumper enclosure. Drill Template - front panel. Drill Template - circuit board. The Soup'r U'per is carefully kitted and shipped by Ron Potter, AG1P.